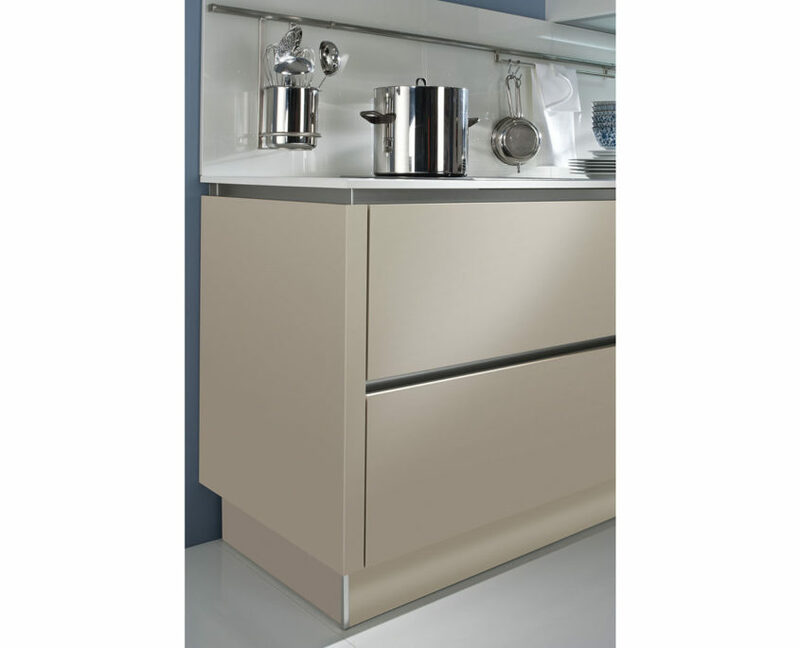 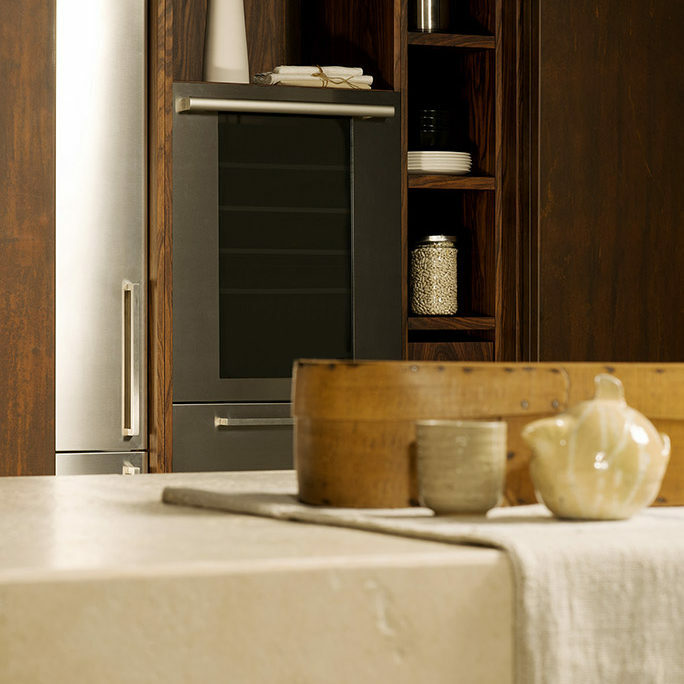 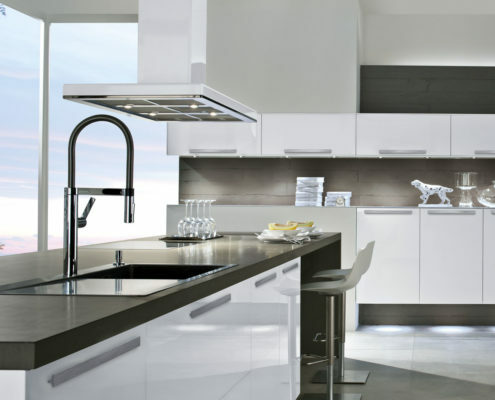 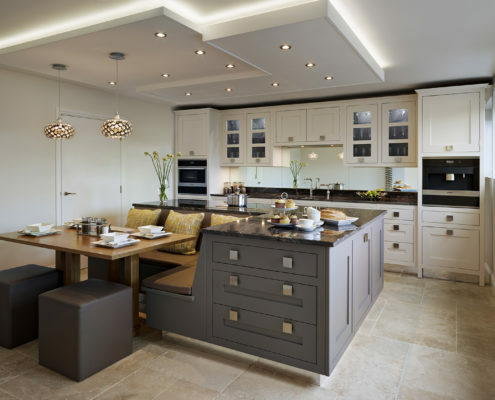 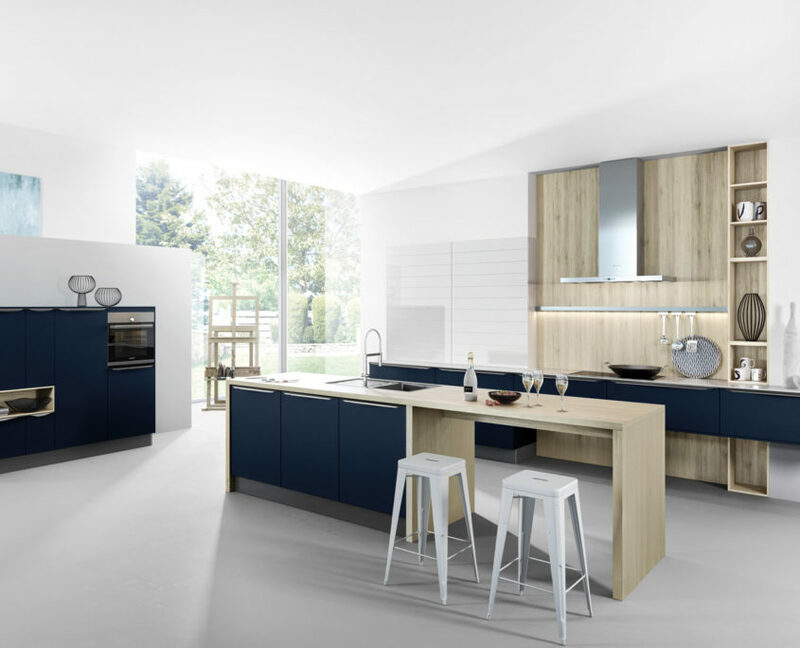 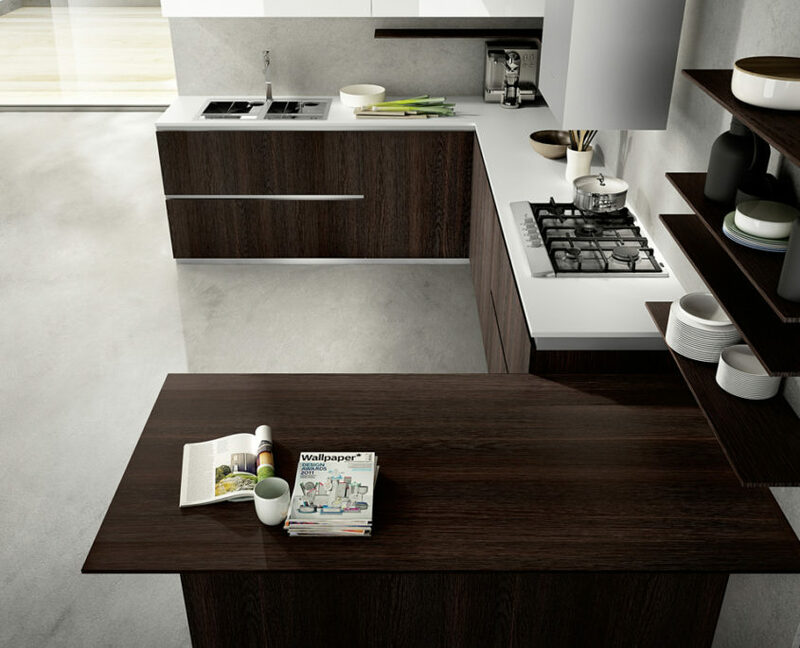 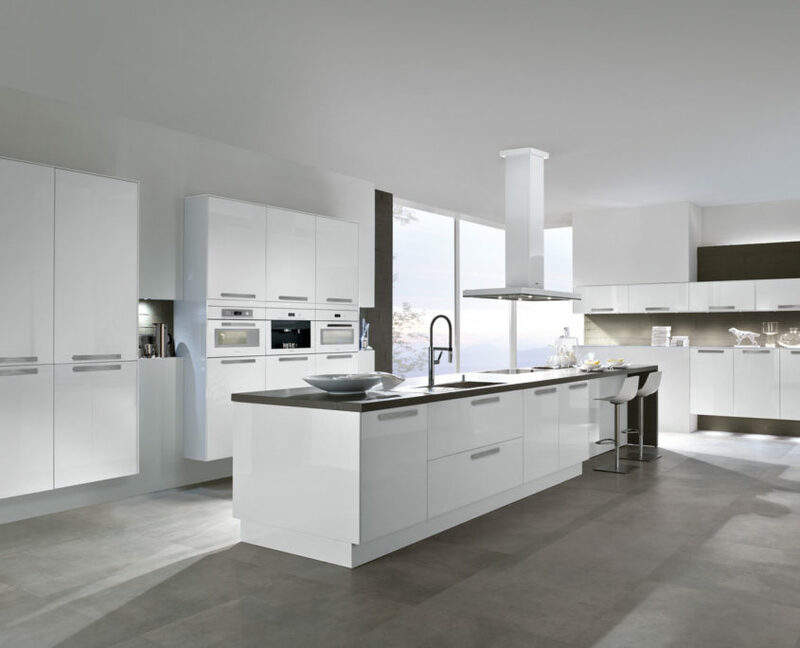 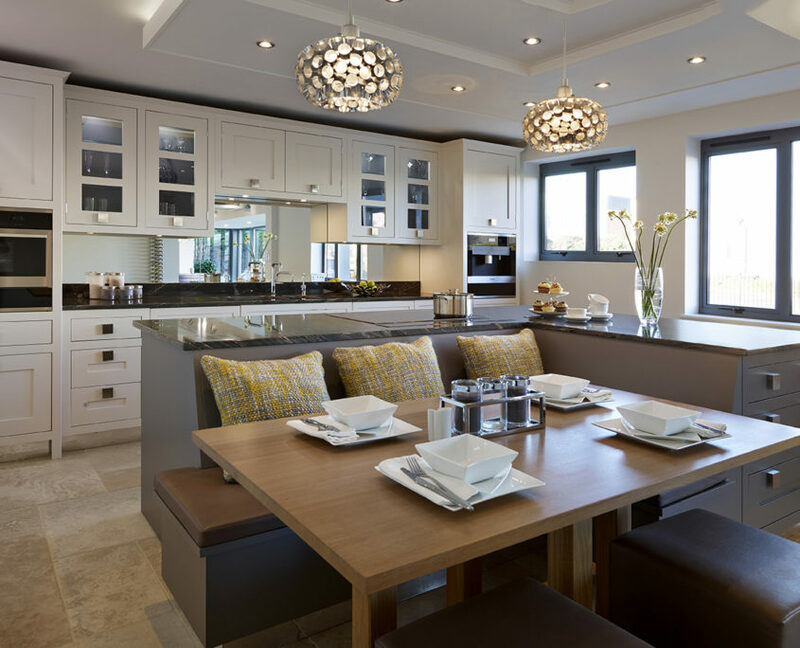 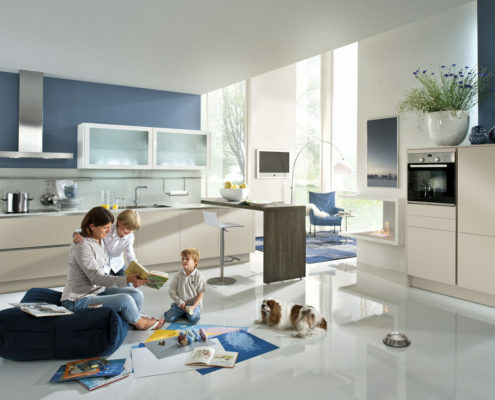 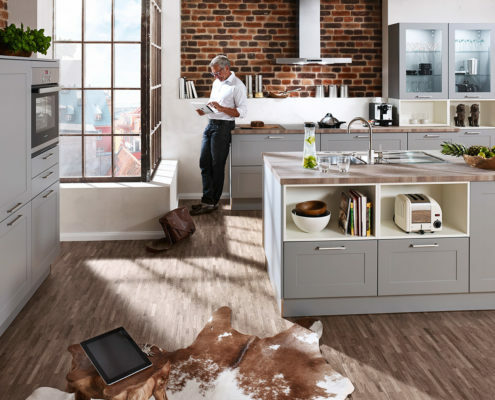 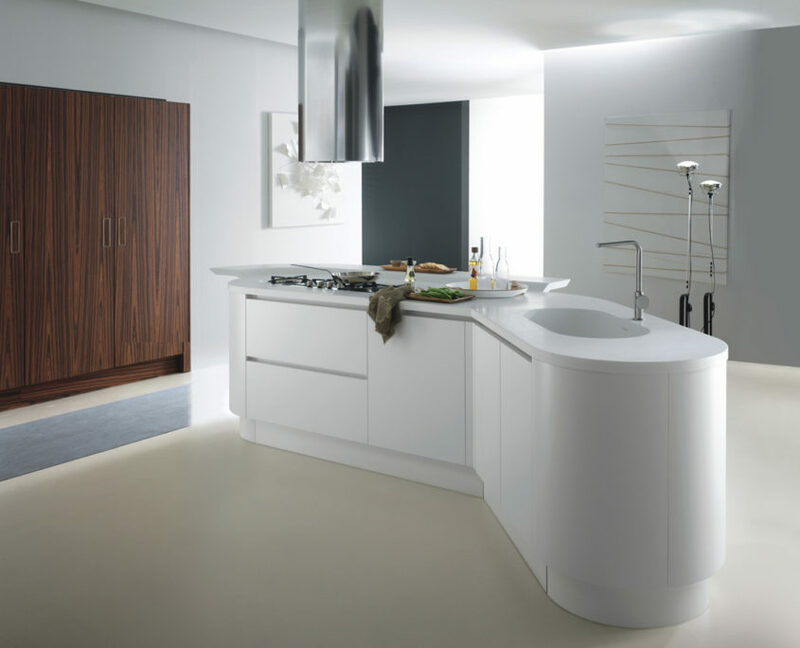 We provide high quality kitchens sourced from Europe. 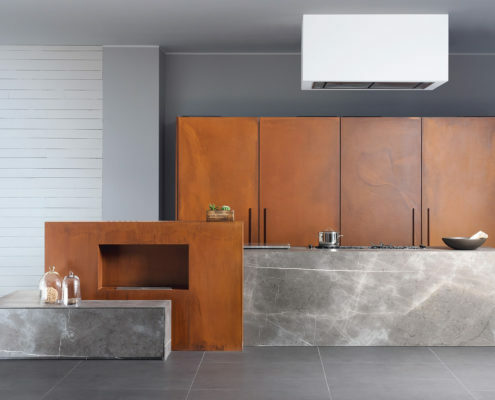 The best Italian, German and Handmade English craftsmanship has to offer all designed to measure and various finishes to complete your interior design. 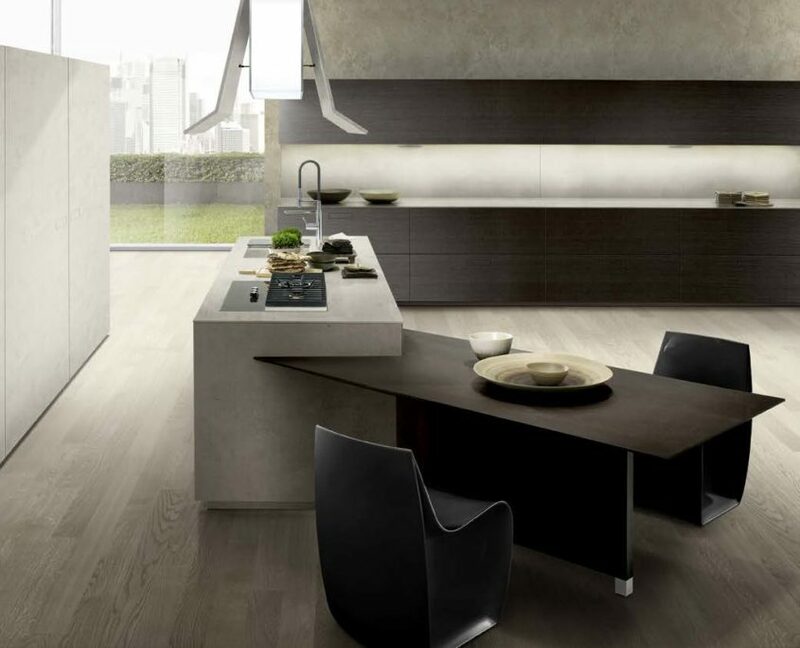 cosy and invititing bioethanol fireplace. 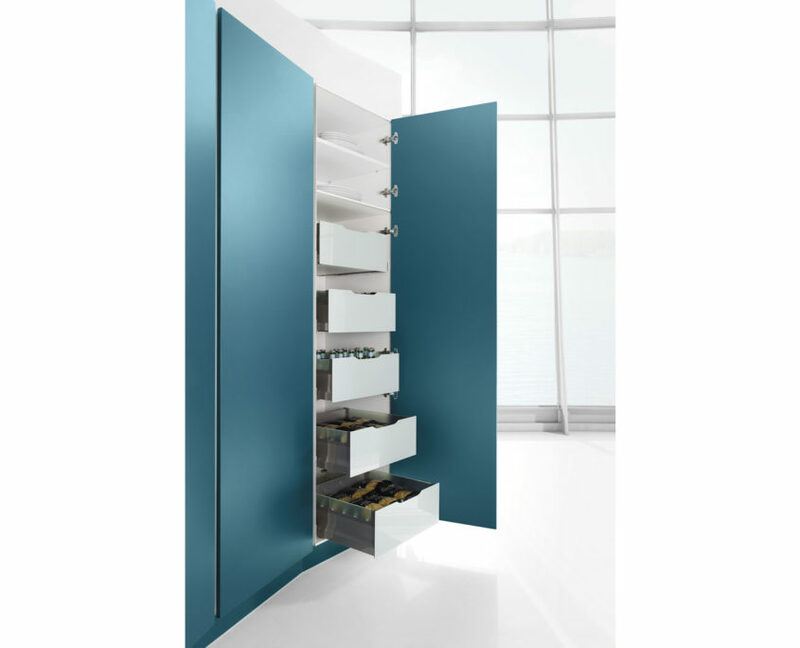 coplanar doors with power-assisted opening systems. 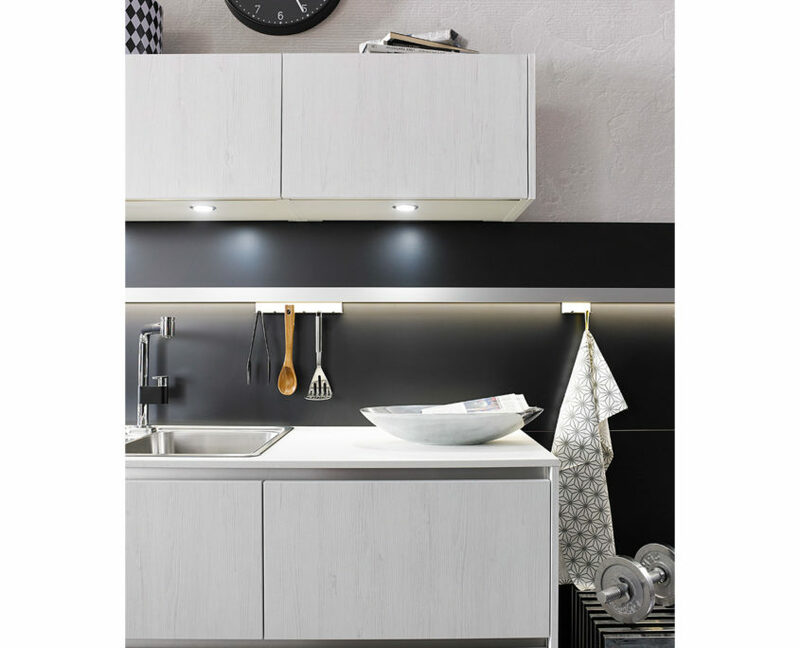 The storage cabinets and drawers are all fitted with internal led lighting. 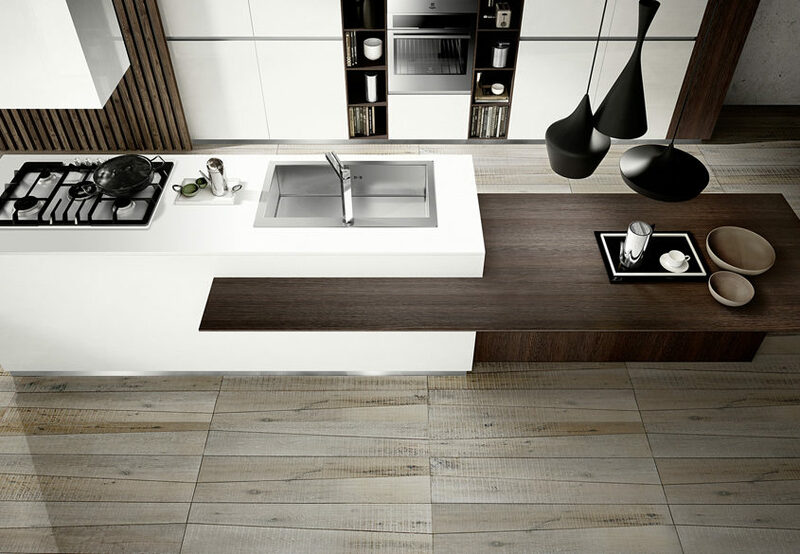 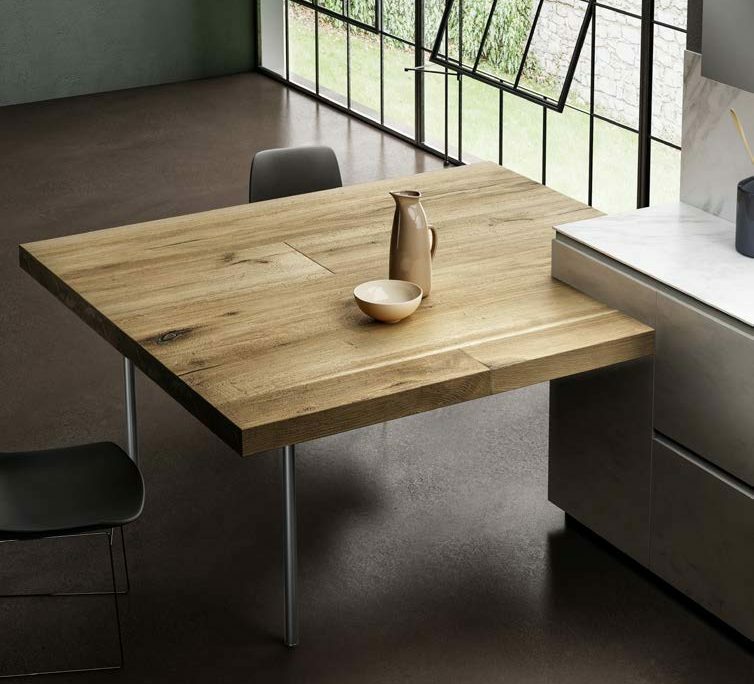 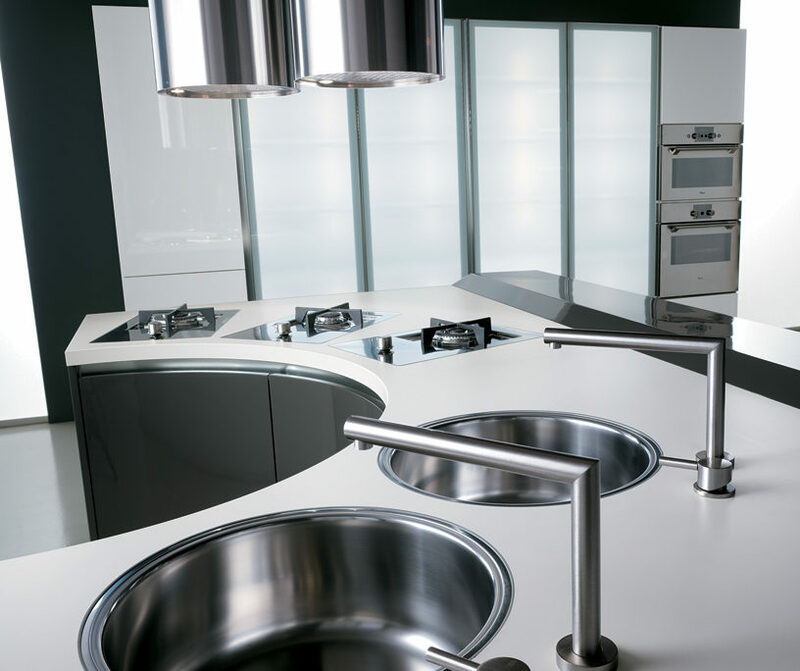 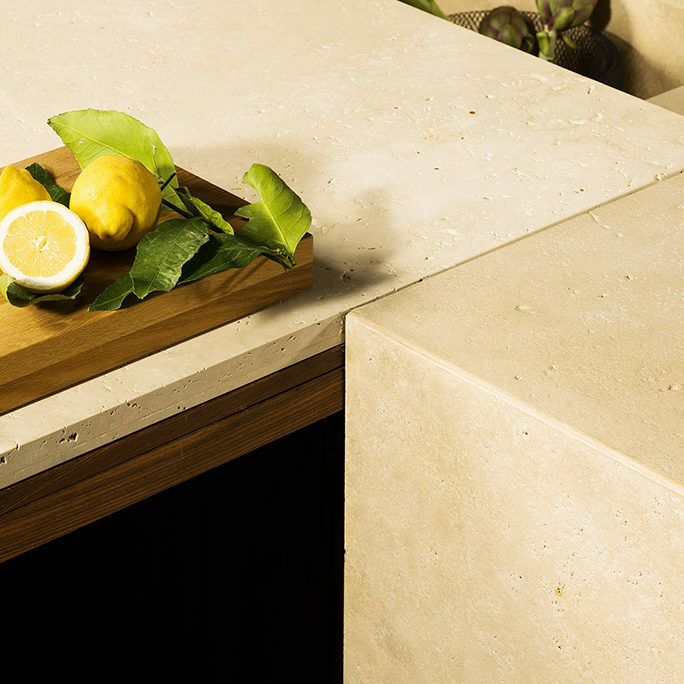 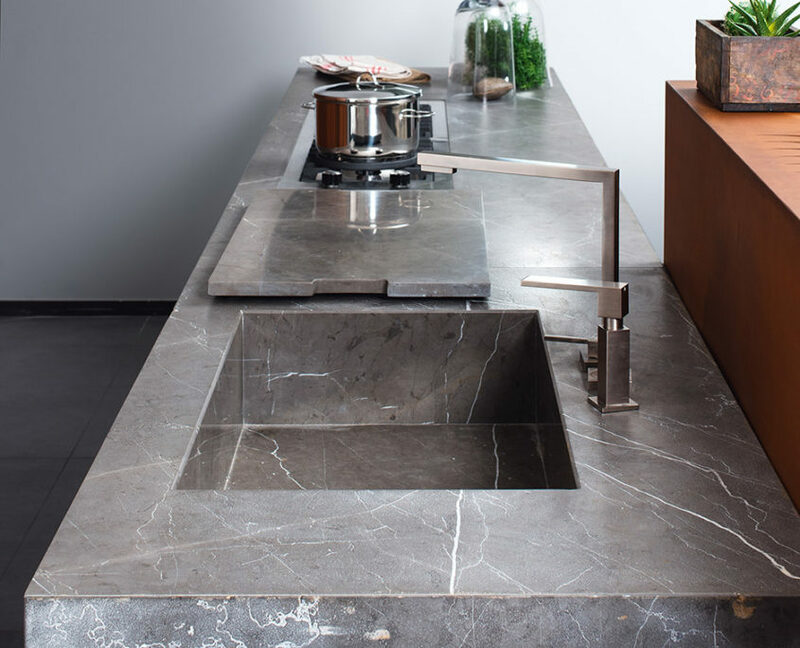 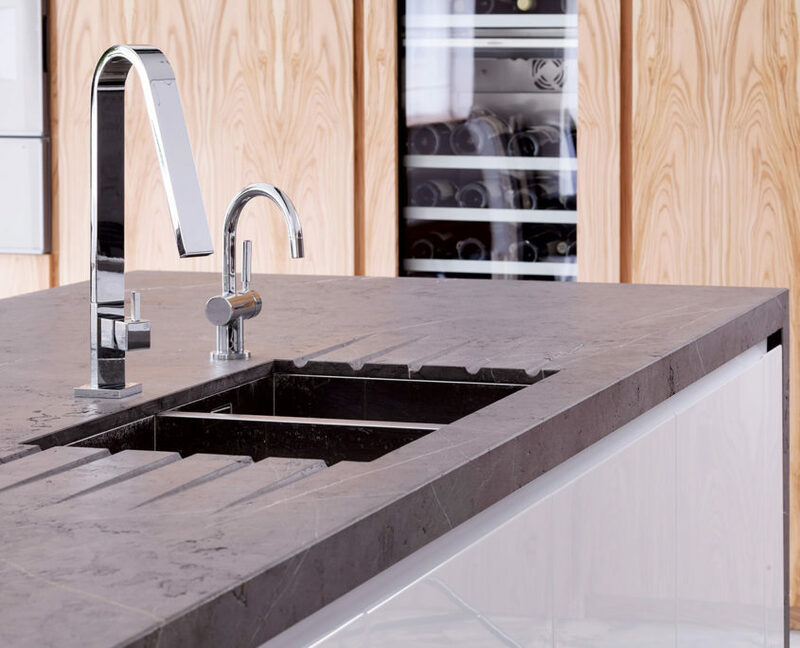 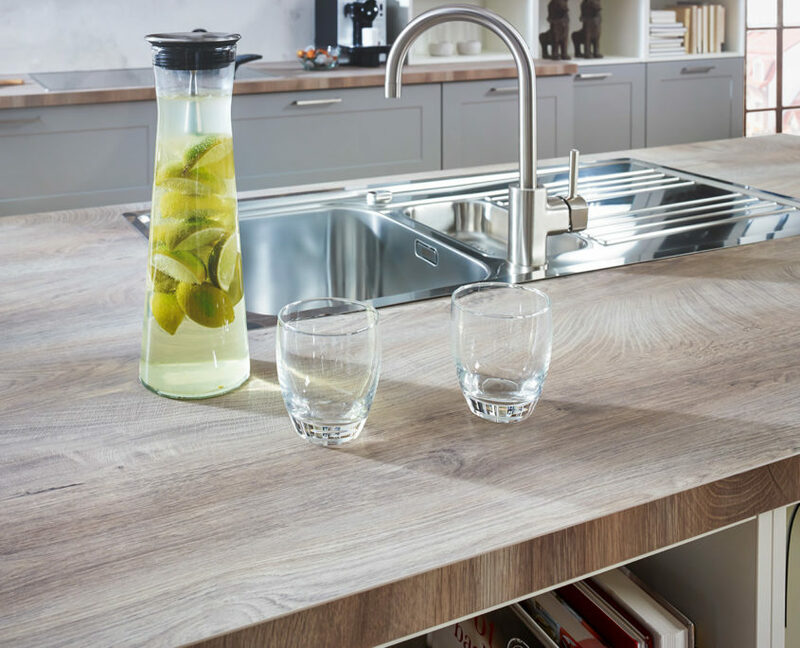 The island integrates a sliding automated worktop concealing a stainless steel sink and a induction cooktop. 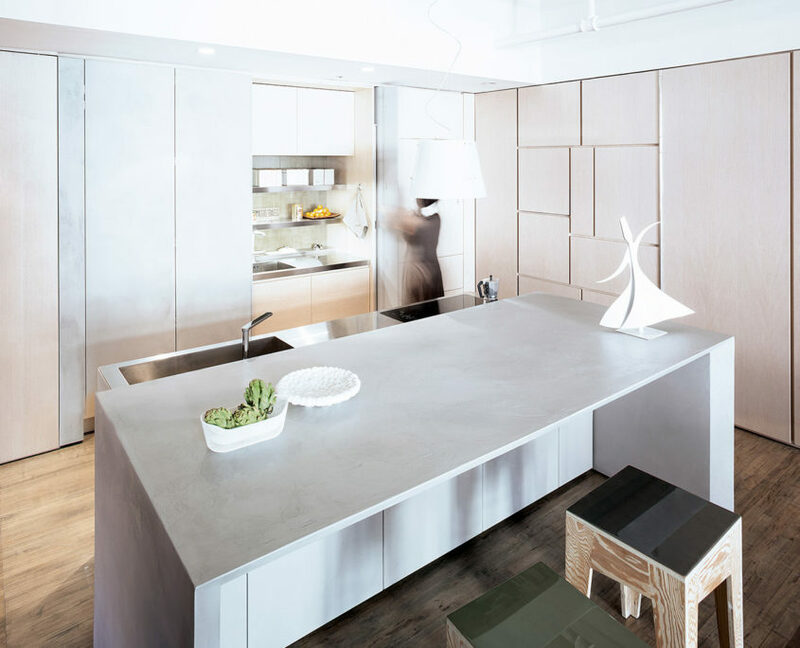 The island is completely finished in Eco-friendly concrete mortar. 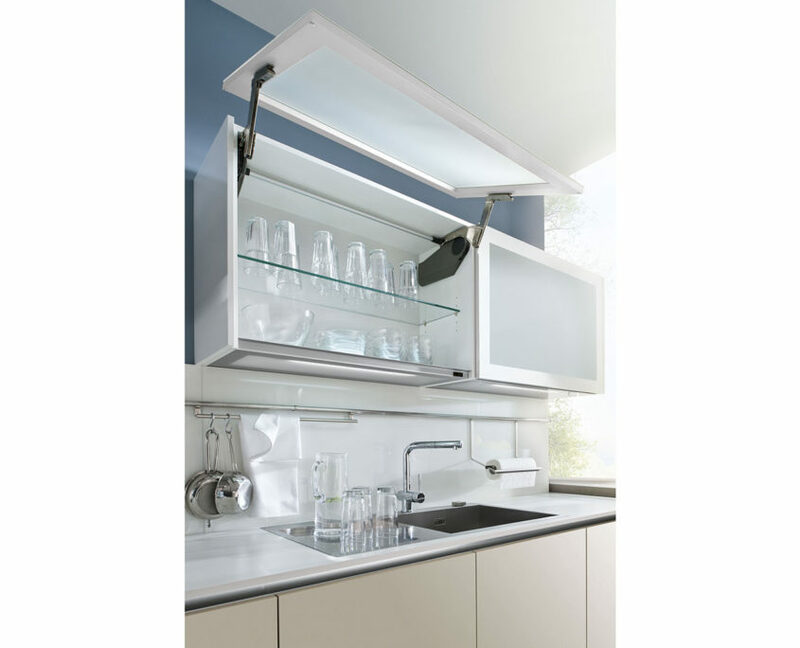 The backspash is in glass retrofitted whit fabric. 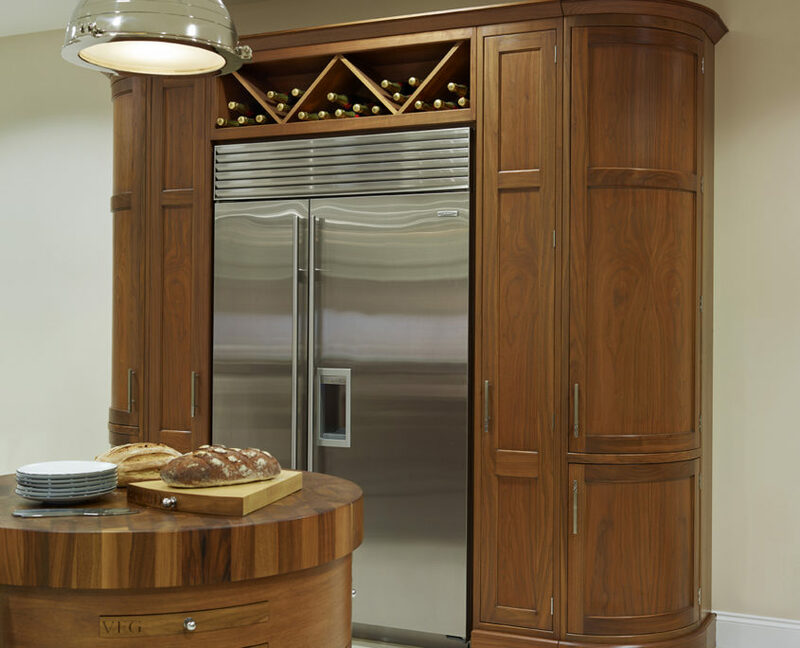 The remaining doors in the composition are in oak veneer. 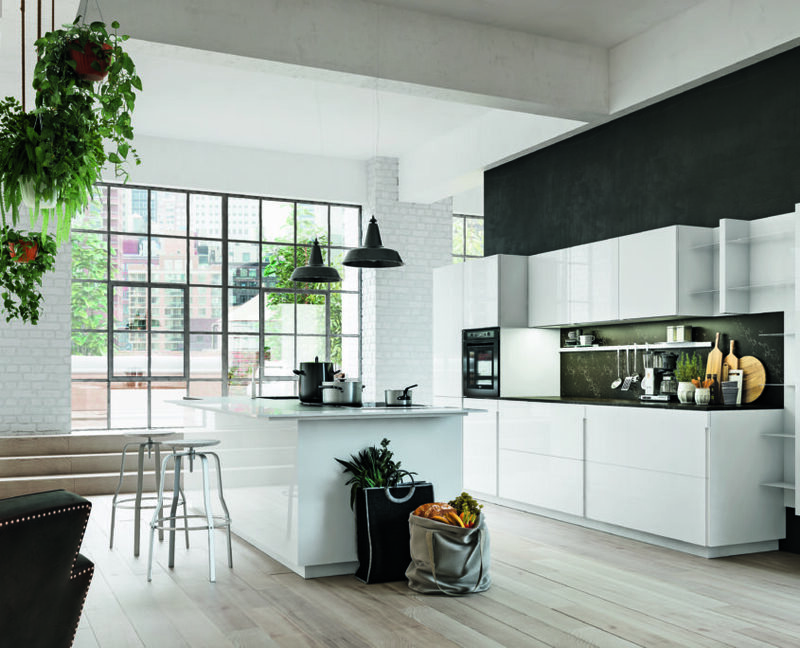 run, are in glossy white lacquer. 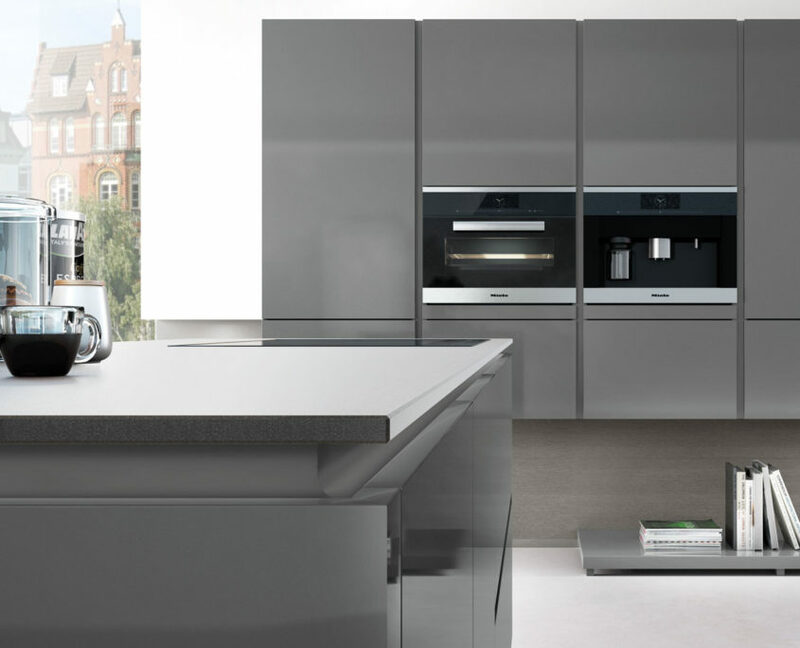 complete with revolving oven, television, worktop, sink and hob. 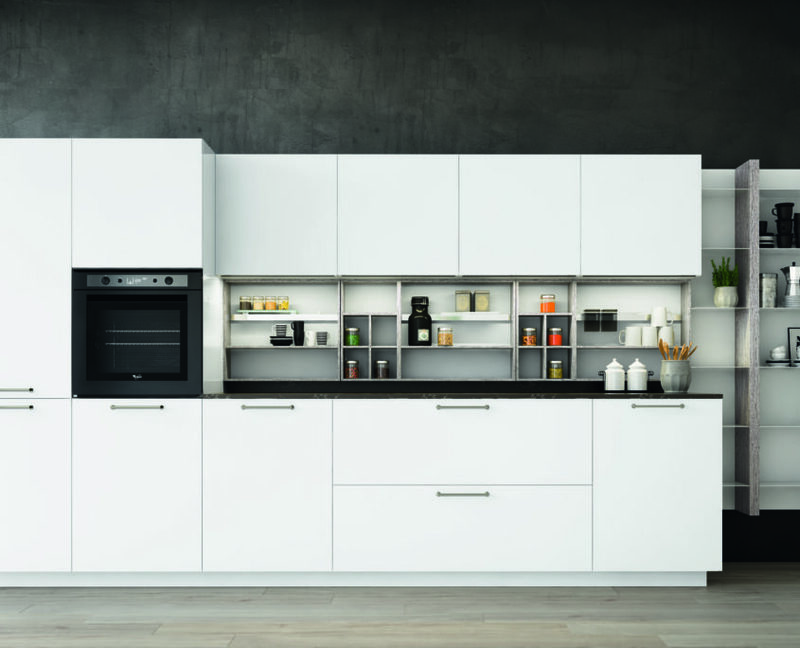 and features domestic appliances, drawers and storage space. 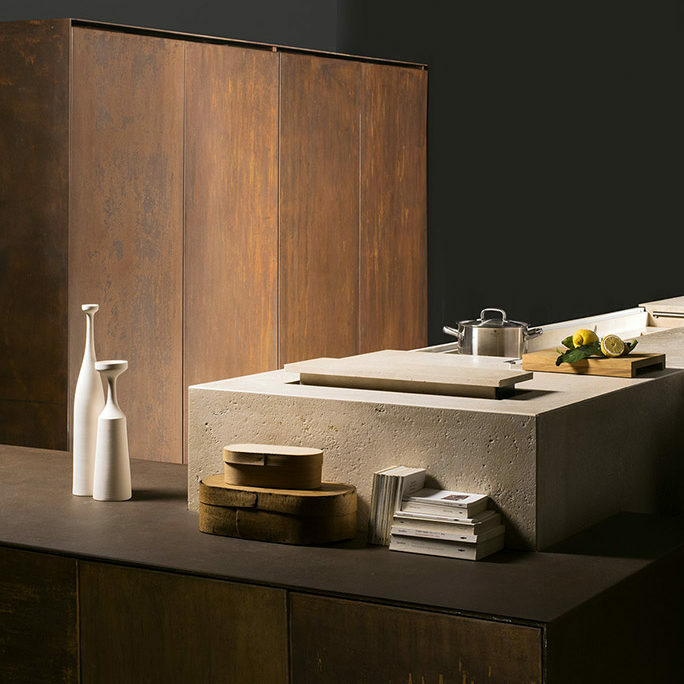 Synthesis work of removal, rediscovery of the essence. 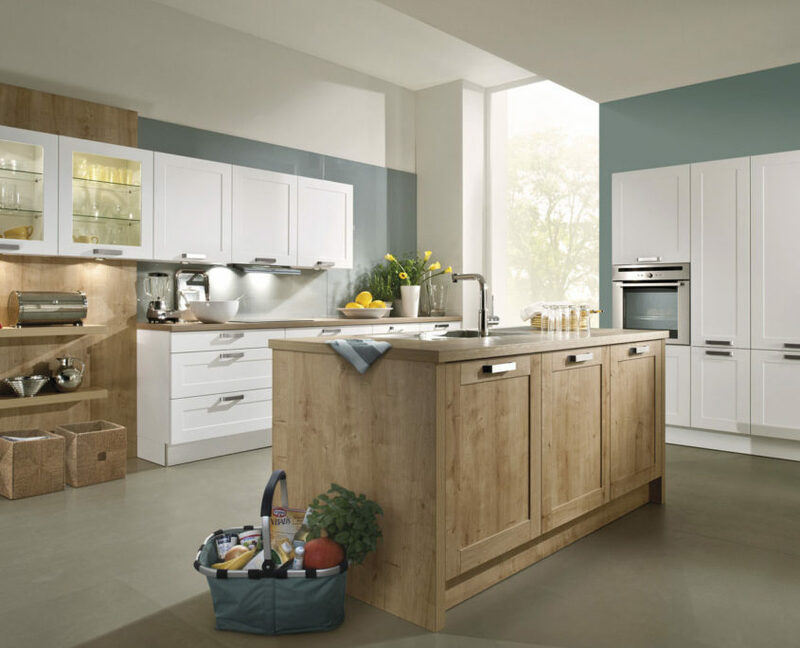 I’m These impressions conquer the viewer a Touch or Line kitchen. 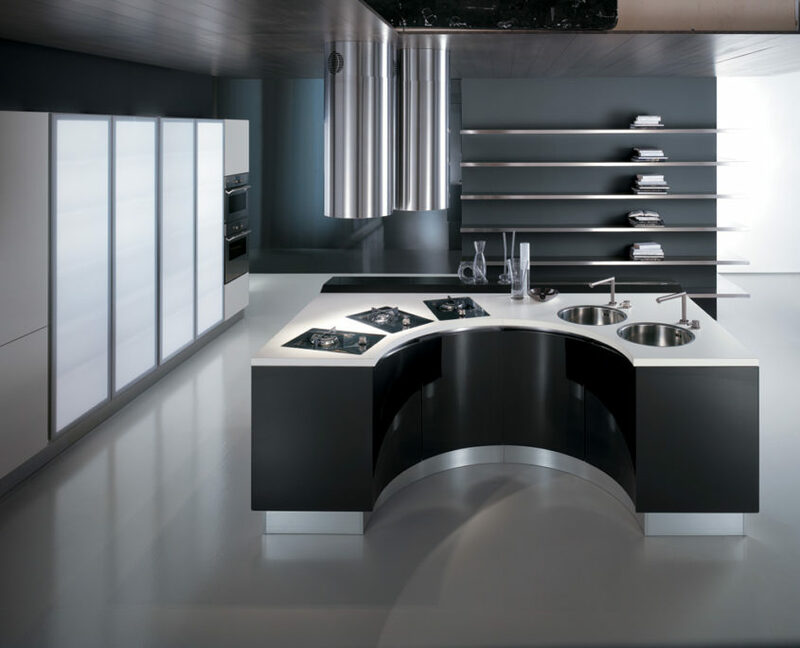 Design copyright, authentic machine cook independent of styles, It can easily be placed in a contemporary setting or in a style context. 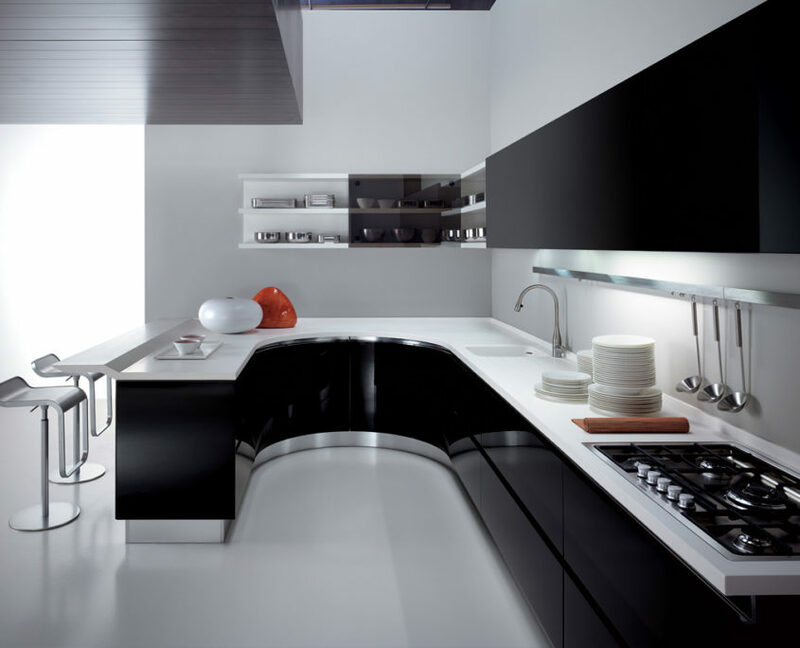 Synthesis, removing, rediscover the essence of things. 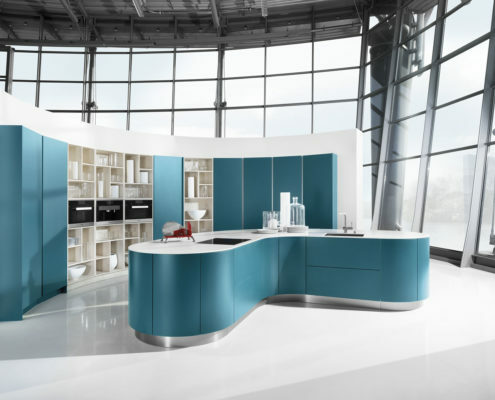 These are the feelings, Which win the people, who see in Touch or Line kitchen. 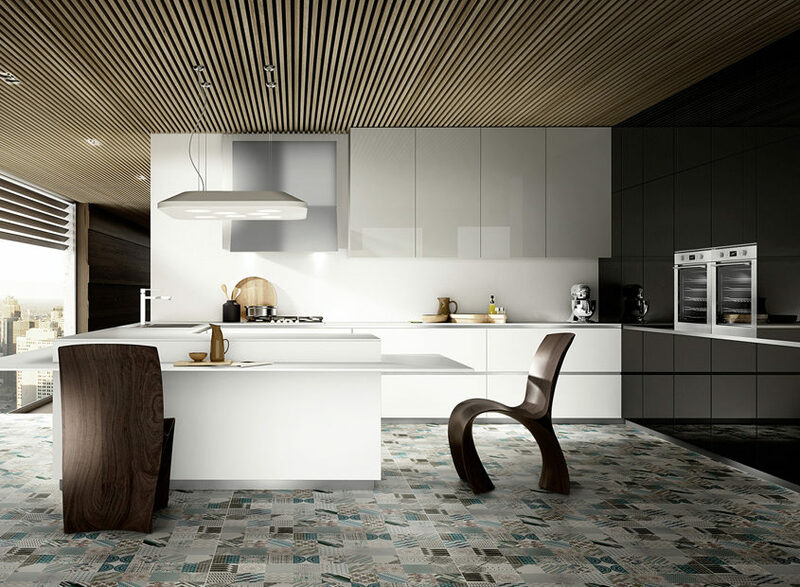 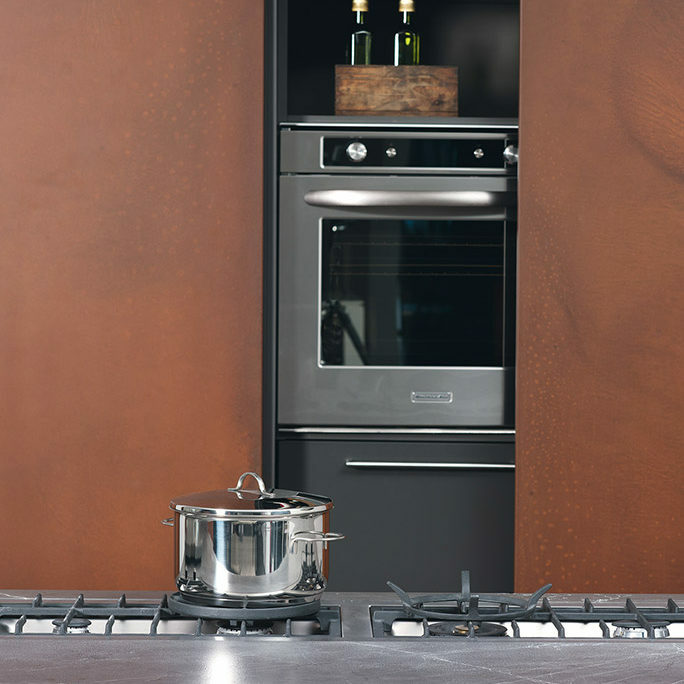 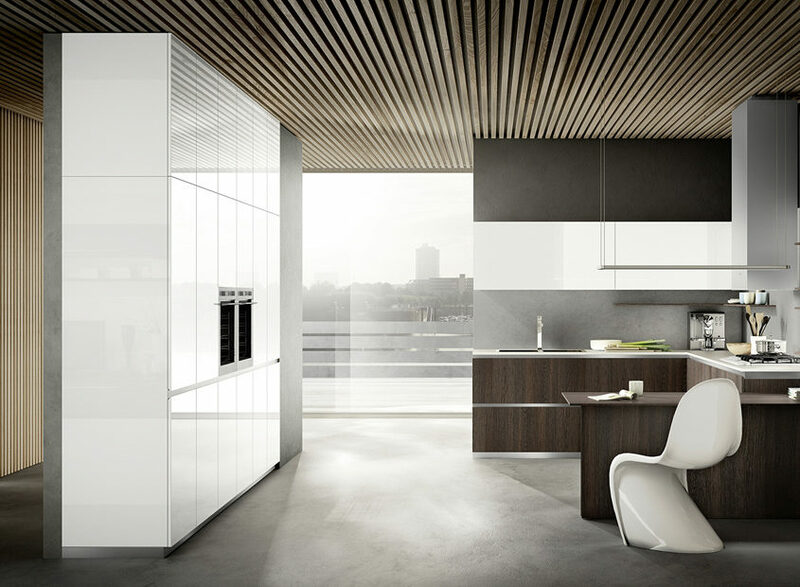 Author design, cooking machine independent from style, Which can be Placed in a contemporary or classical environment. 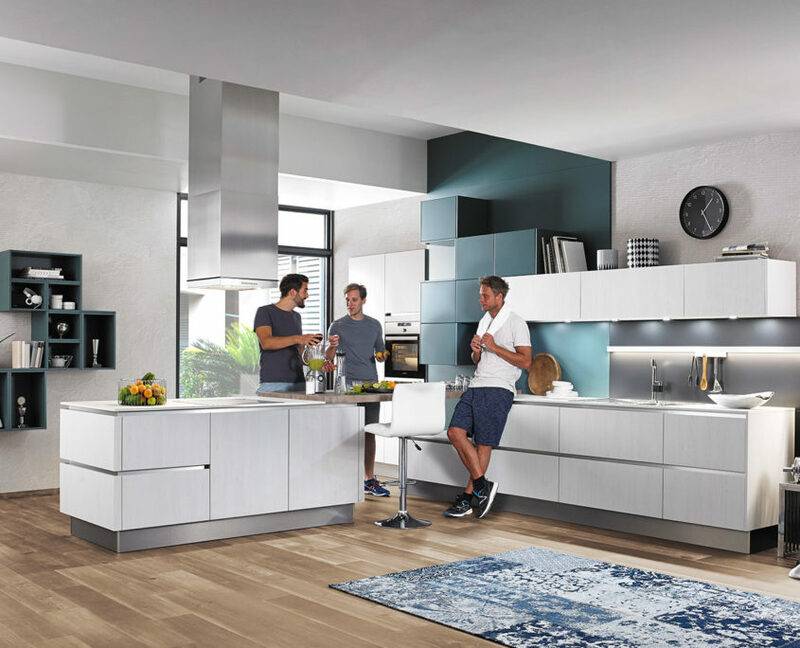 The Lounge project stems from an analysis of new ways of living the kitchen, a privileged place of the domestic business to be occupied all day, to be lived daily. 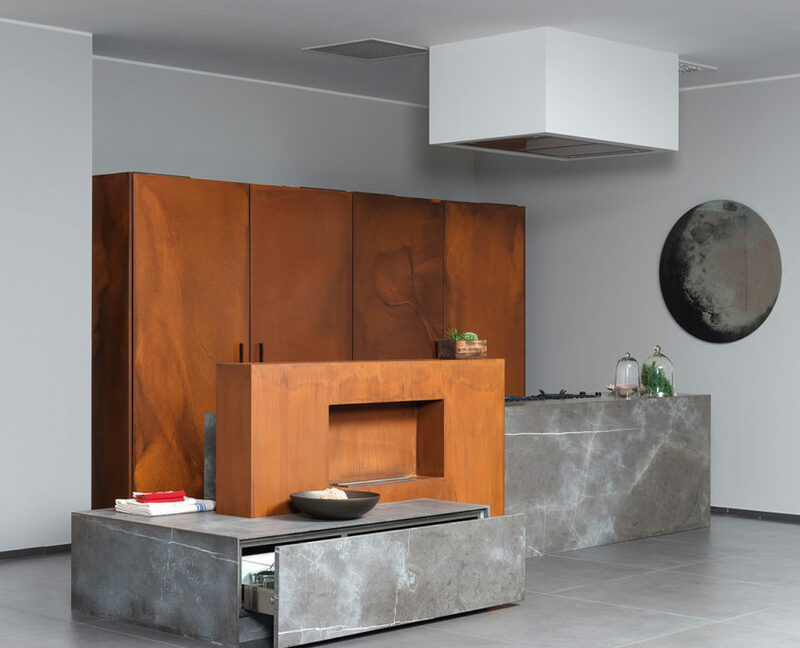 Lounge, communicates and connects with the rest of the house, creating a constant environment between the kitchen and living room, creating a homogeneous area, ideal for metropolitan spaces. 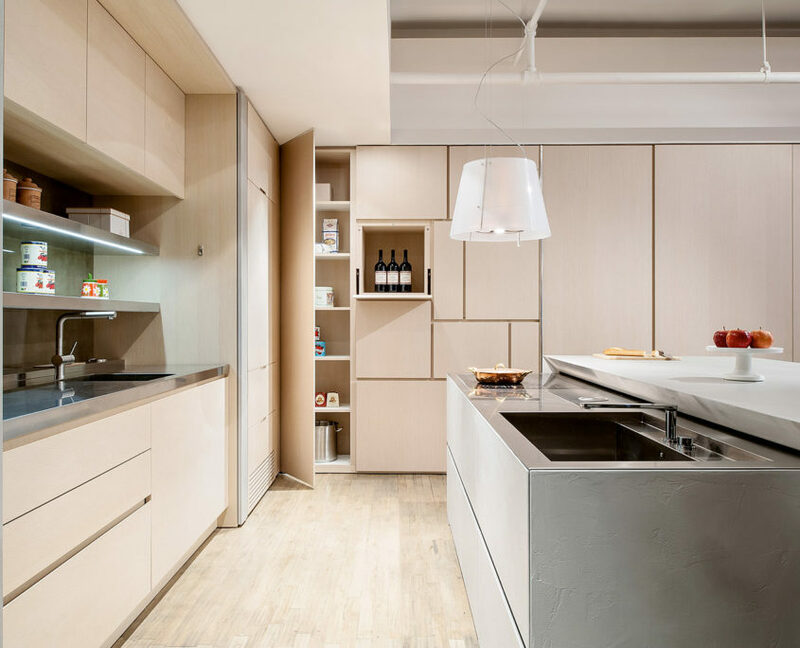 A project characterized by a strong emotional impact that wins at first glance. 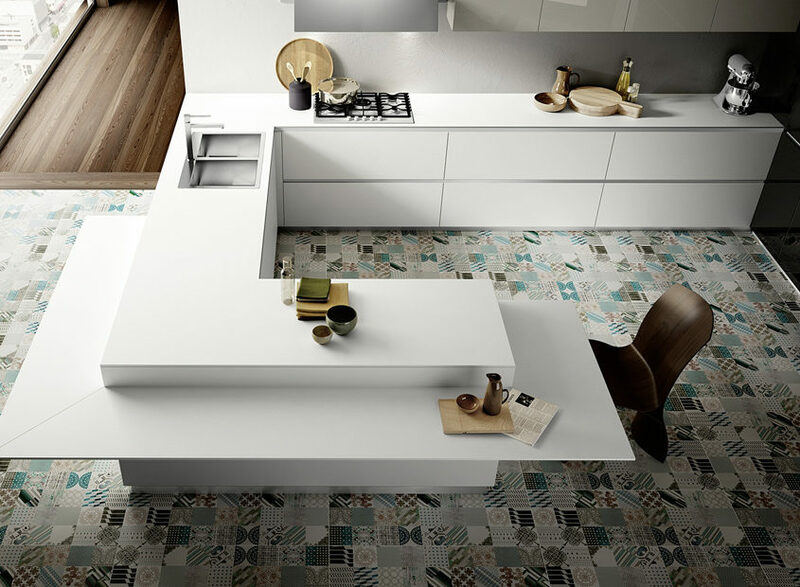 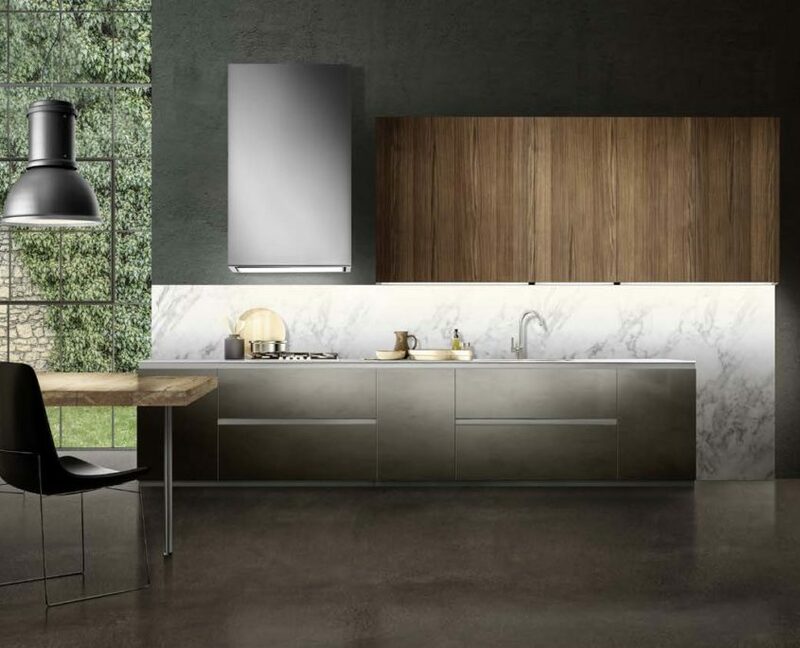 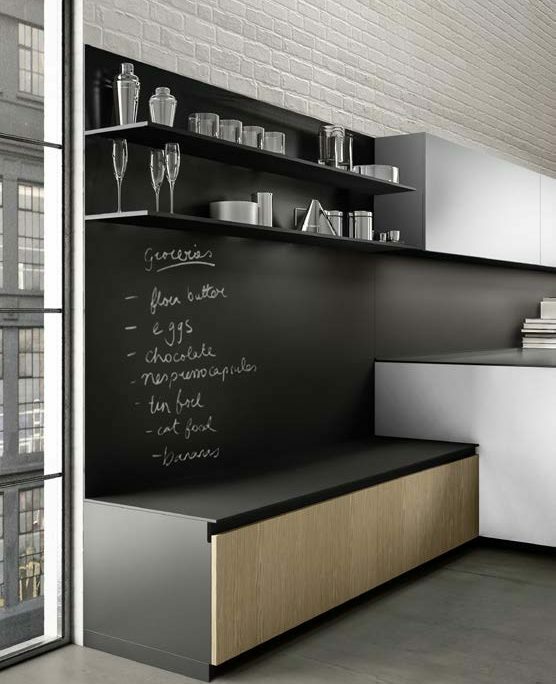 Mood is a modern kitchen with island dedicated to a young audience, with a great value for money, which in a surprising way interprets the expressive potential of the contrast material. 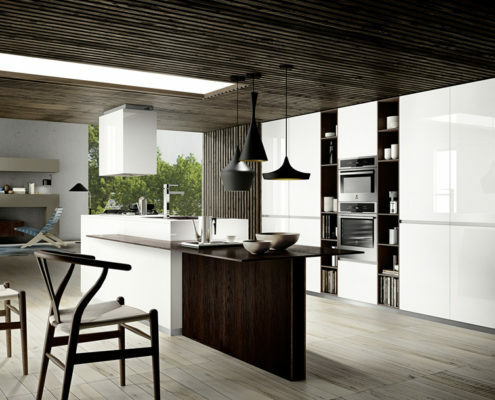 It proposes a new wing with cut tilted at the terminal that allows opening throat. An Italian cuisine characterized by thin thicknesses for top and peninsula plan; by an innovative color palette with heat-treated wood finish; from the design innovations in the columns. 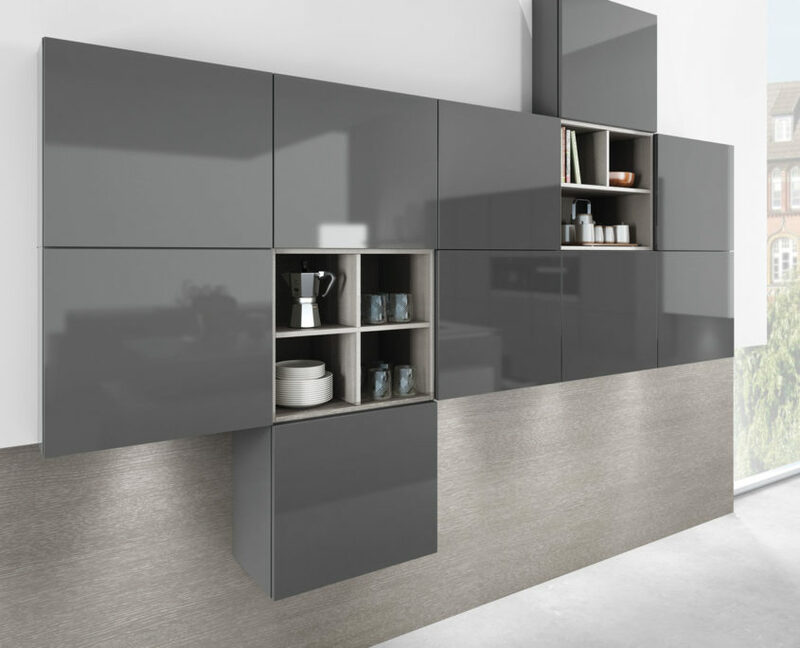 Smooth surfaces interrupted by vertical and horizontal cuts, handles free, columns featuring a technical design capture the space on the whole wall: these are the main features of Maxima, a contemporary design kitchen with peninsula or island which, in the large choice of finishing, allows to build up a kitchen designed around today’s different demands, satisfying the most personal tastes. 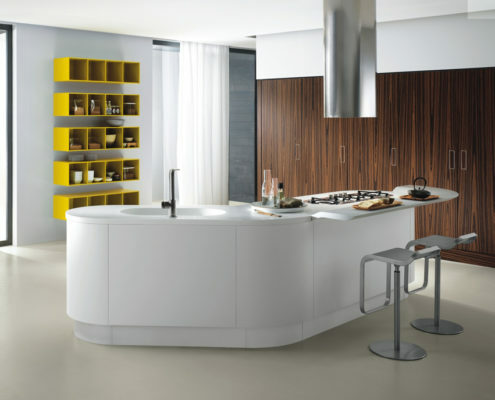 Good design distinguishes itself by being creative and well thought-out composition and presentation. 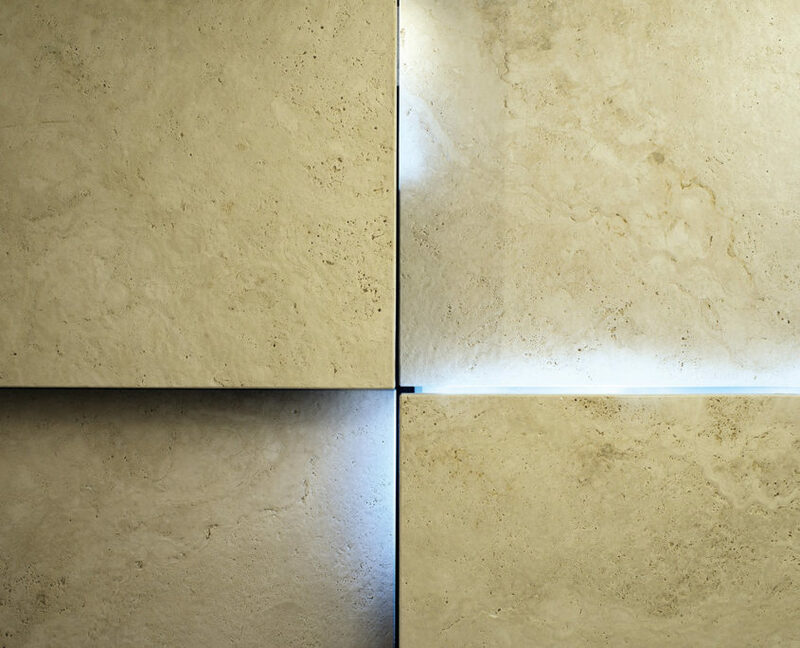 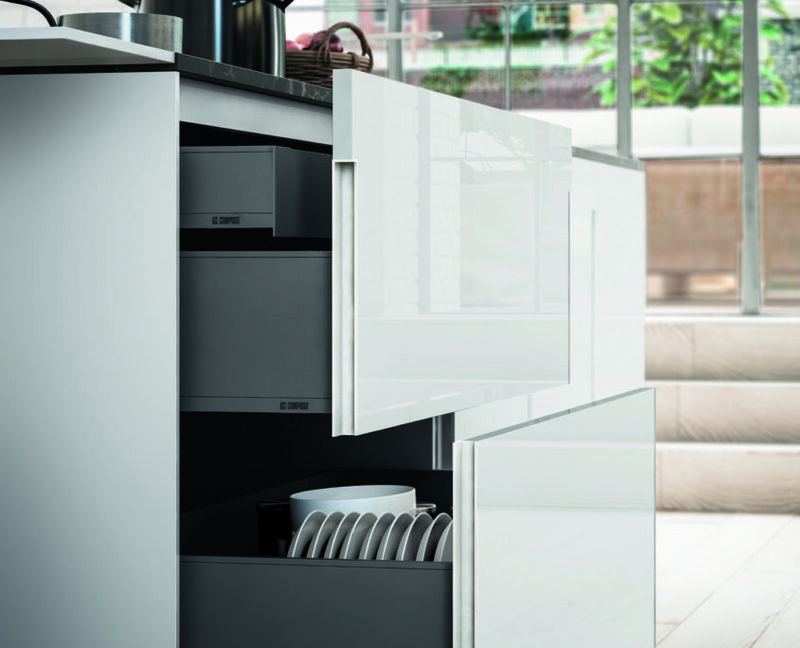 Our ingenious and sophisticated system featuring variable and clearly structured modules and an array of widths, depths and heights makes for a high degree of creative freedom. 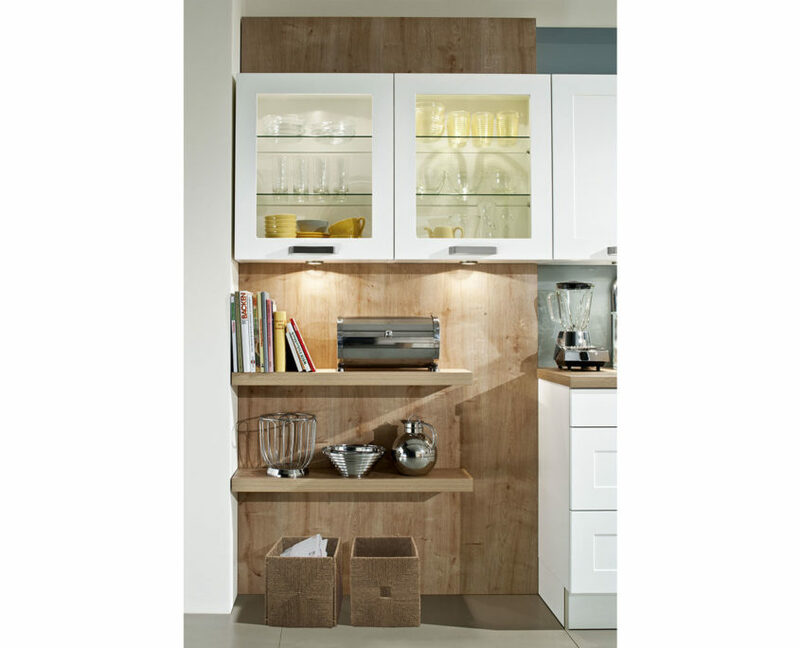 Extremely robust and convenient full pull-outs, unusual shelf and cabinet solutions with an integrated lighting concept, and smart interior fittings offer optimal storage space. 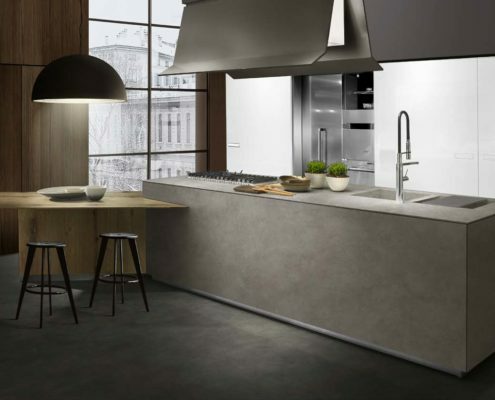 Customised solutions meet the highest of demands in terms of design and function and make our kitchens the starting point for unforgettable culinary experiences. 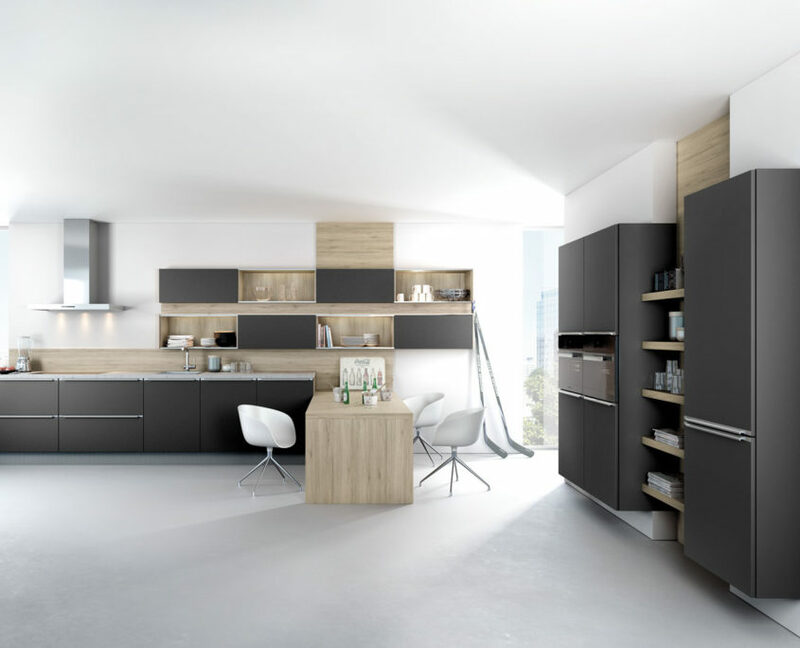 Space for contemporary living. 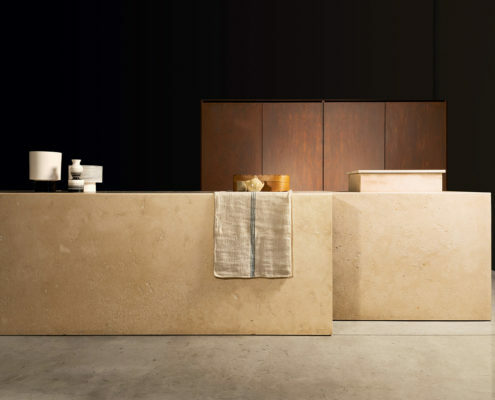 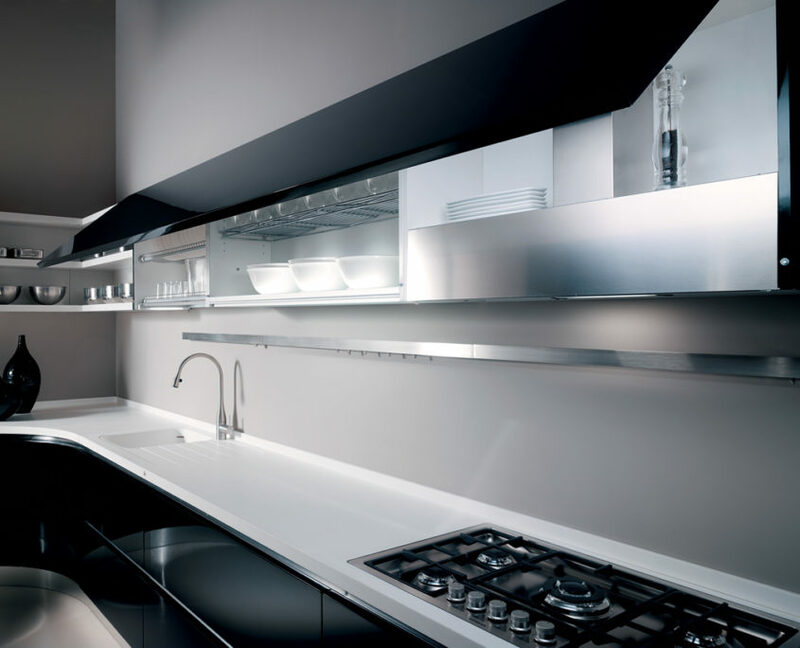 Contemporary kitchen architecture takes new, individualised forms of living and furnishing into consideration. 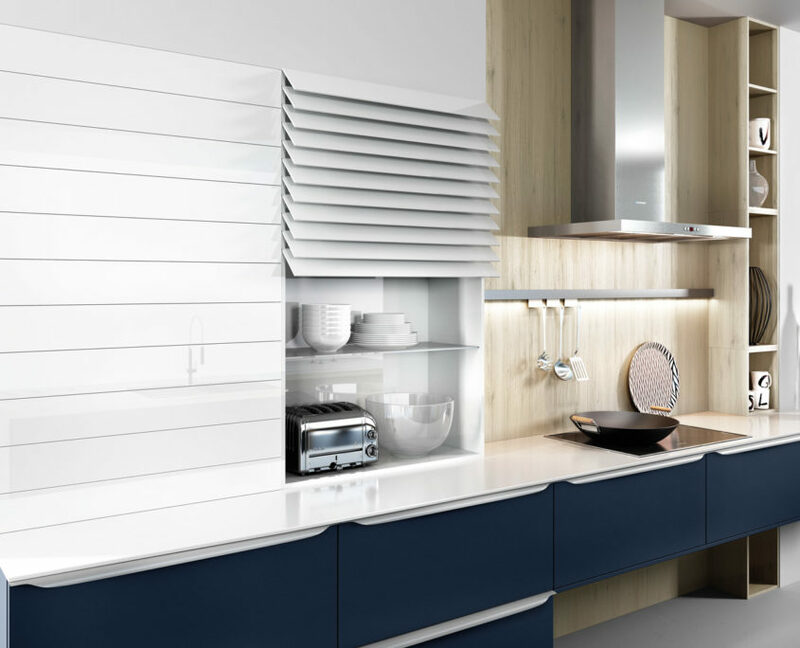 Our product provides you with a fascinating array of possibilities for cabinet configuration as well as with regard to fittings and accessories. 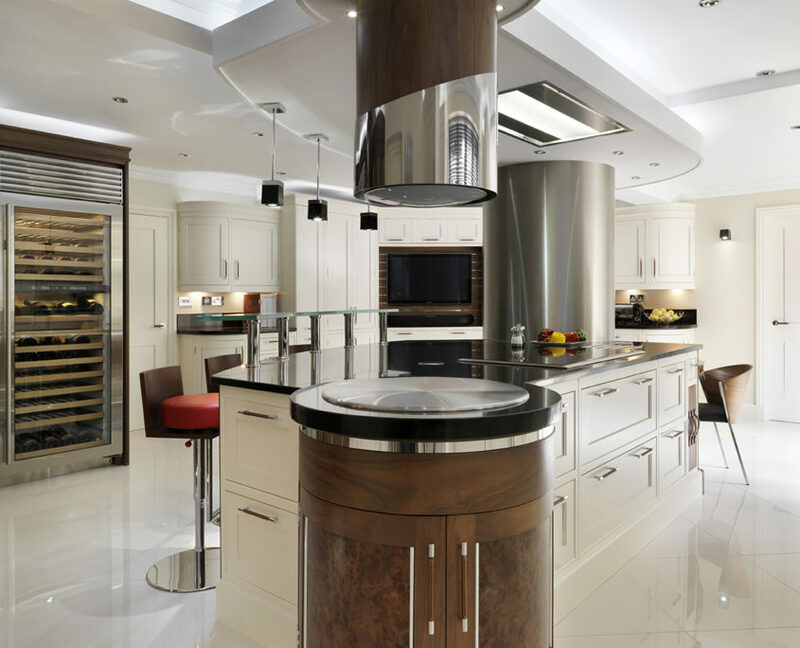 The many innovative functions of this kitchen turn cooking into a real experience. 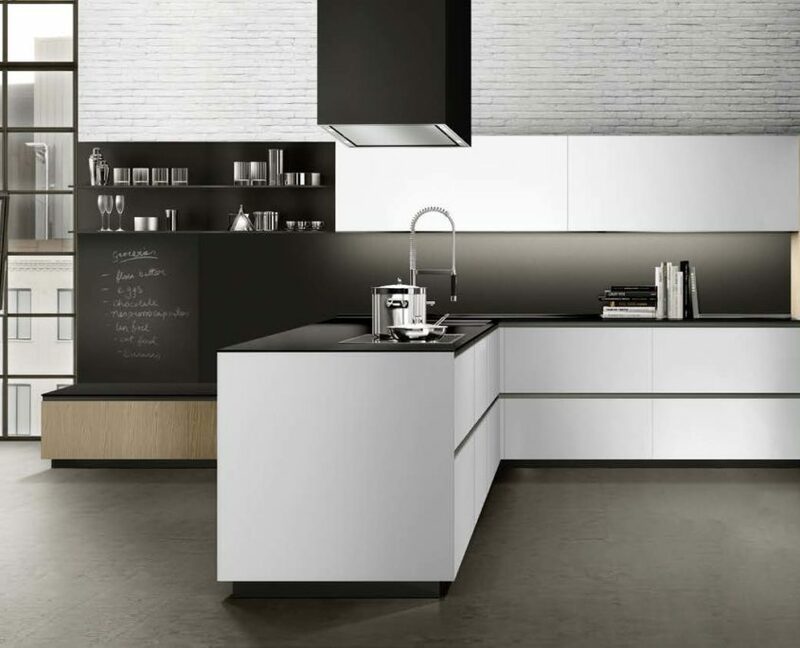 The high-quality, hard-wearing and easy-care material ensures that your kitchen will give you pleasure for many years to come. 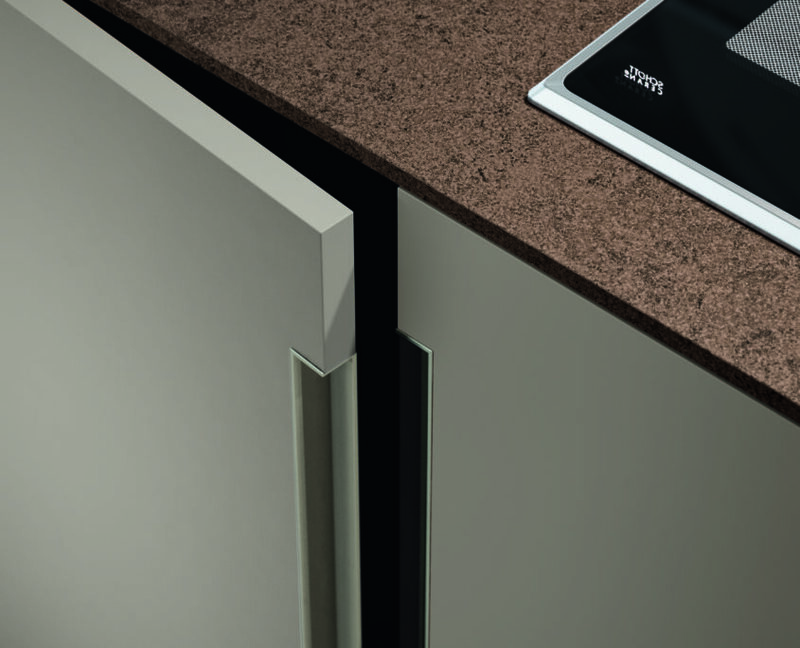 The handle-less design adds the finishing touches to the arguments concerning the benefits of the series. 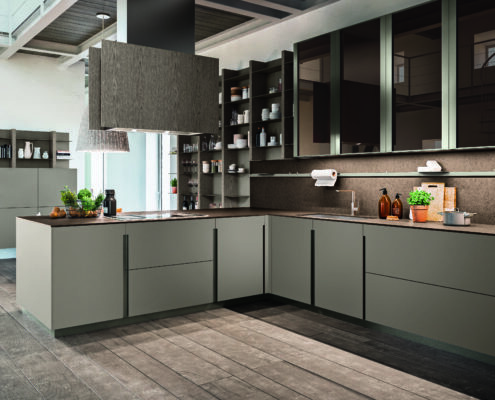 The planning of sleek and modern kitchens without handles follows the trend towards clear-cut lines and sets the stage in today fashion. 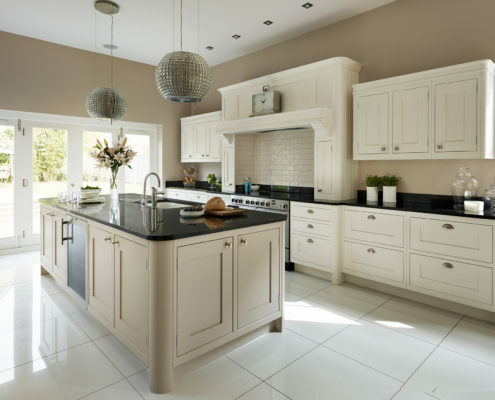 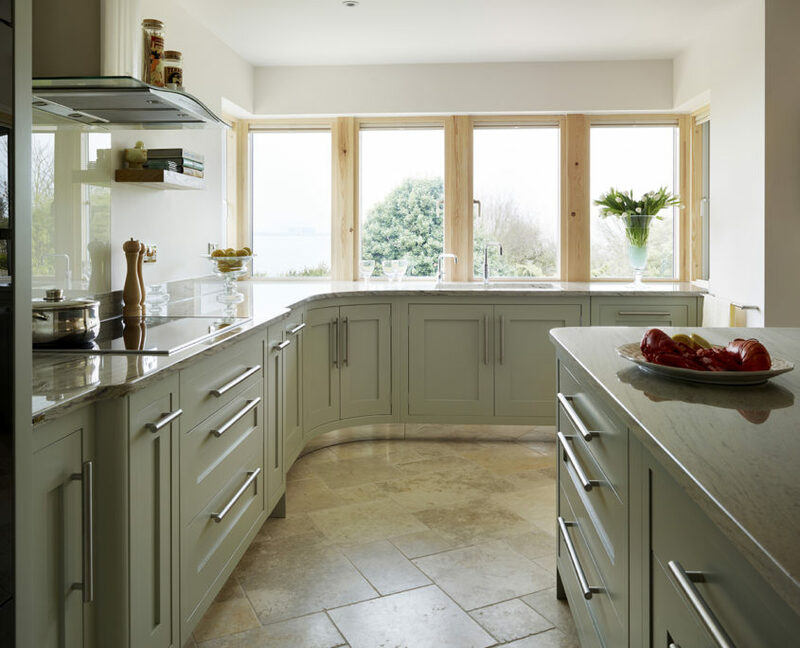 This Shaker Style Kitchen is equally well suited to a new or old building, this Shaker style has an emphasis on quality and simplicity. 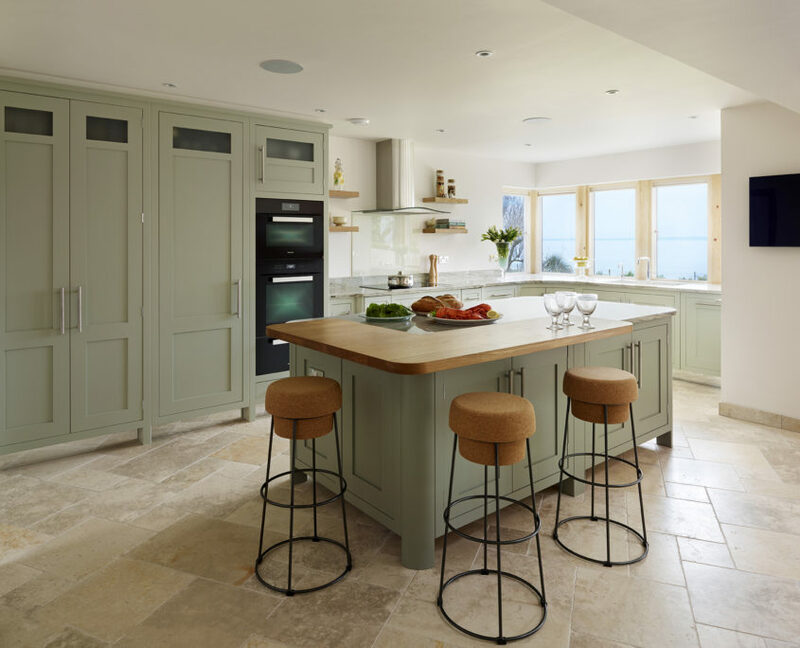 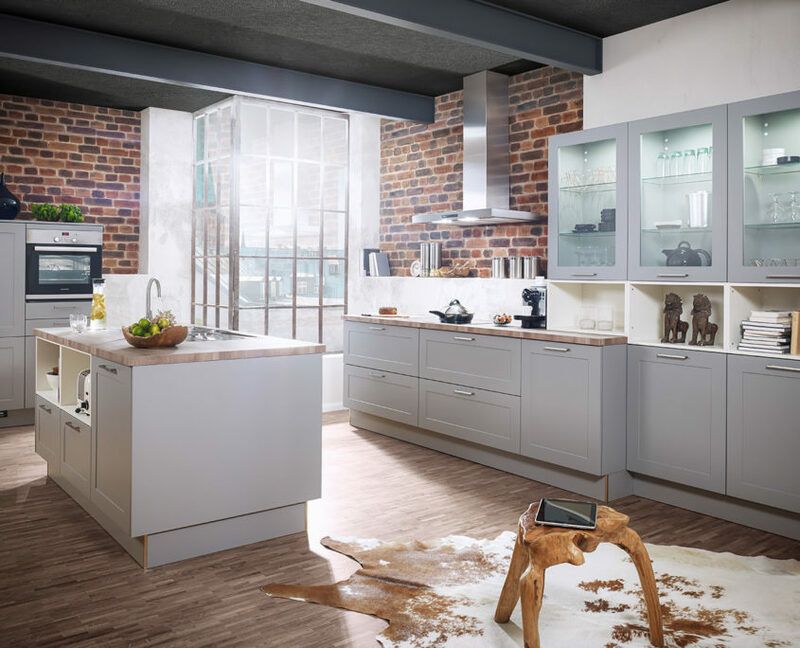 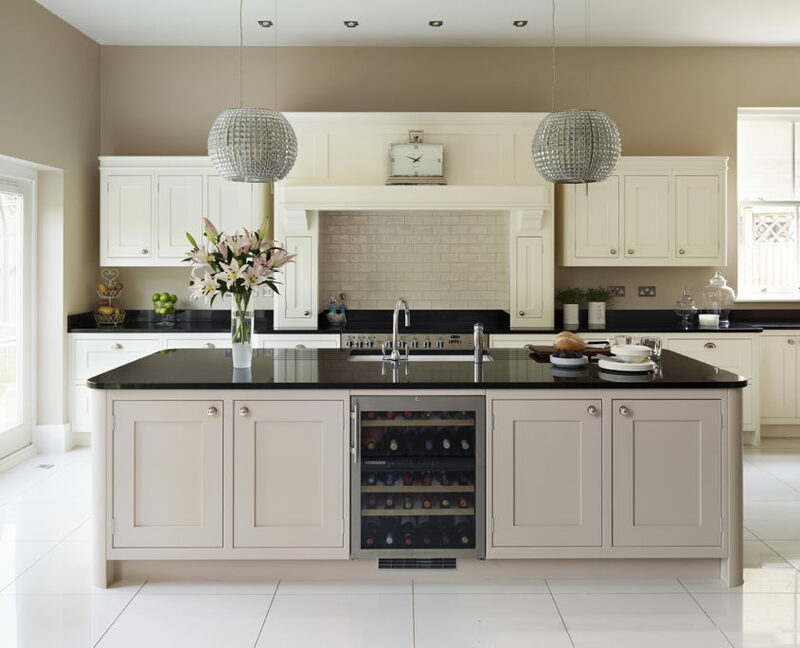 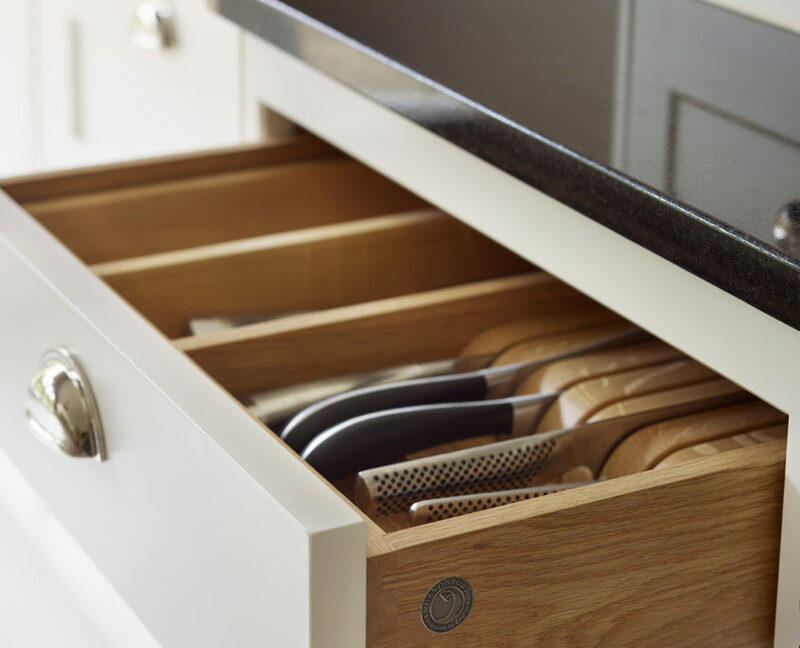 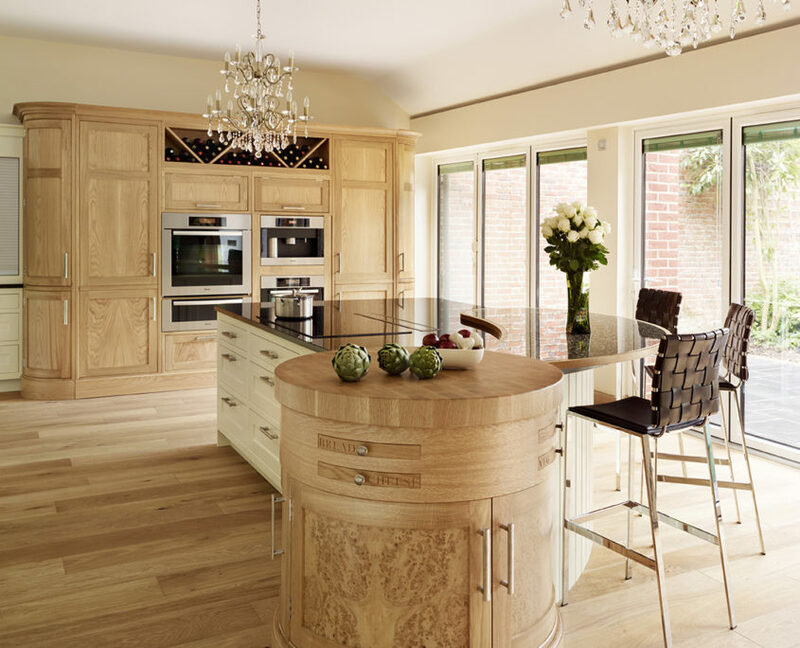 The Tillingham kitchen is uncluttered and natural, and can be combined with stainless steel and granite to create a contemporary look, or given a fresh timeless edge when teamed with wood and wicker. The hand crafted fluid curves of the Belgravia kitchen contrast perfectly with the rich walnut cabinets, chocolate hand stitched leather handles and dark stone to take this stunning kitchen design to another level. 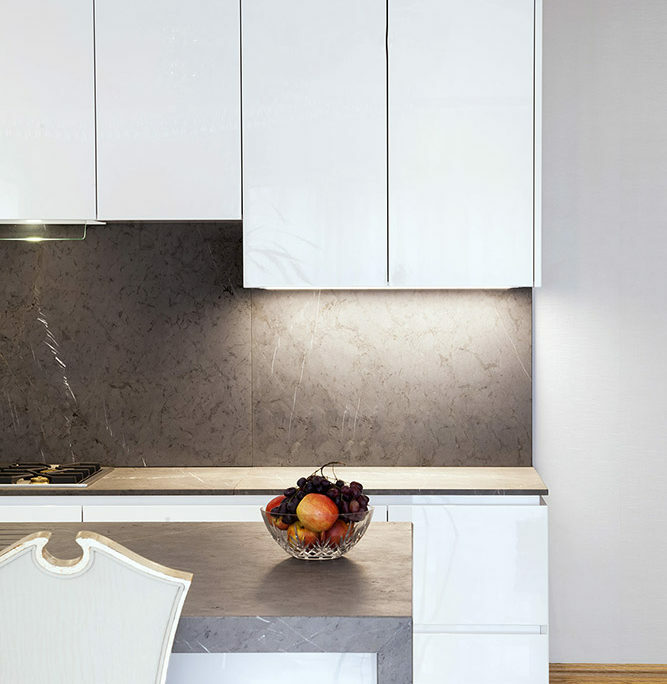 The unique contemporary design of the Belgravia is combined with meticulous attention to detail fused with exquisite craftsmanship. 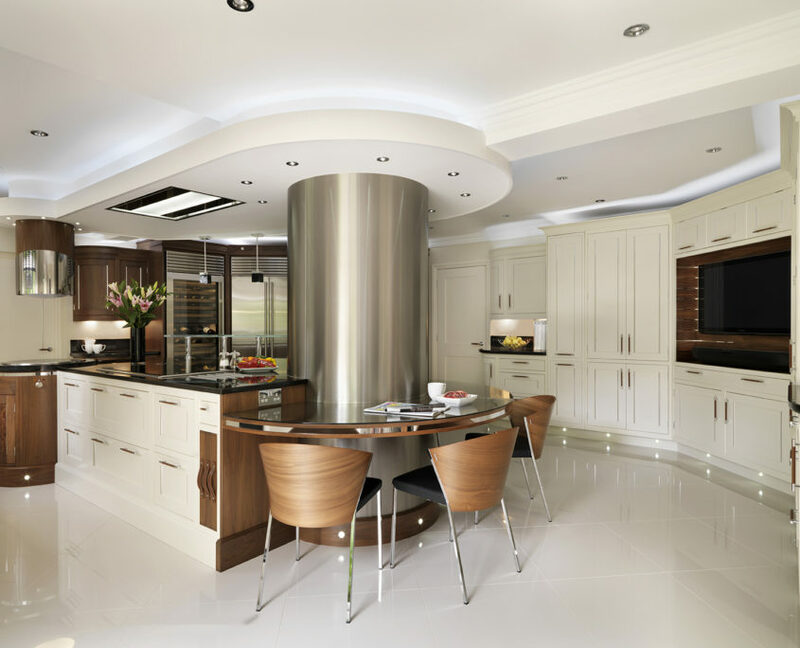 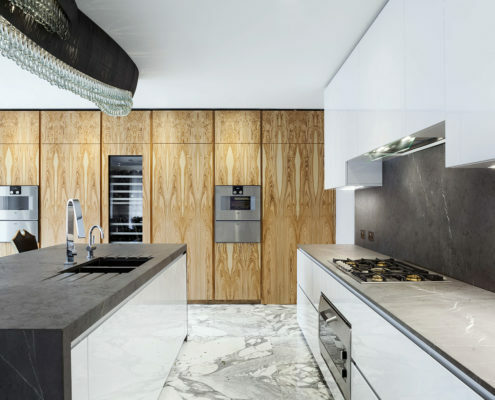 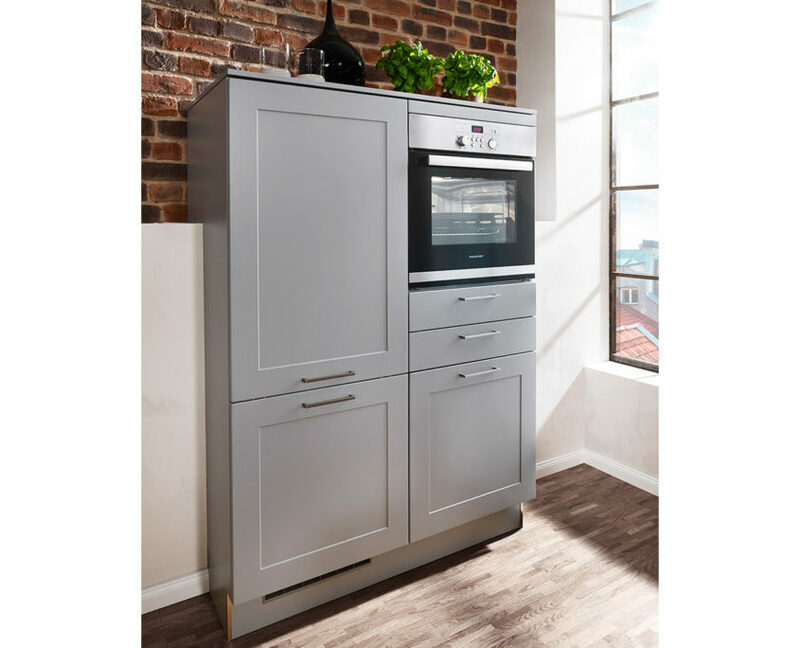 Also included are some of the very latest cooking and cooling innovations creating a sophisticated living space which displays an amazing balance of both form and function.